The lightweight and compact design of mirrorless cameras makes them more convenient to carry—and that increases your chances of bringing home a winning photo. Arguably, one of the most exciting advancements in digital camera technology over the past five or so years has been the increased proliferation of mirrorless cameras with interchangeable-lens systems. With advantages such as real-time exposure preview through the rear LCD and electronic viewfinder to smaller and lighter bodies and lenses, mirrorless technology has had a marked impact on the photo industry. With that said, they’re not without their compromises, so let’s take a look at what the current landscape of mirrorless cameras looks like. Before we dive in, let’s briefly compare mirrorless cameras with their older sibling, the DSLR. The SLR-style camera has been around for a very long time and stands for single-lens reflex (the “D” stands for digital). With a DSLR, light enters in through the lens into a prism containing a mirrored block. This prism reflects the light upward and through the optical viewfinder, which is what you would place your eye in front of. When you press the shutter button, the mirror flips up and allows light to hit the sensor, thus exposing your image. Comparatively, the mirrorless camera system is much newer to the photography world, because it primarily relies on digital technology. Mirrorless cameras do away with the entire assembly that houses the mirror and prism. Because of this, they’re often much smaller and lighter than their DSLR siblings. Instead of an optical viewfinder to use for composition and focusing, mirrorless cameras display exactly what the sensor picks up on either a rear LCD or through an electronic viewfinder. 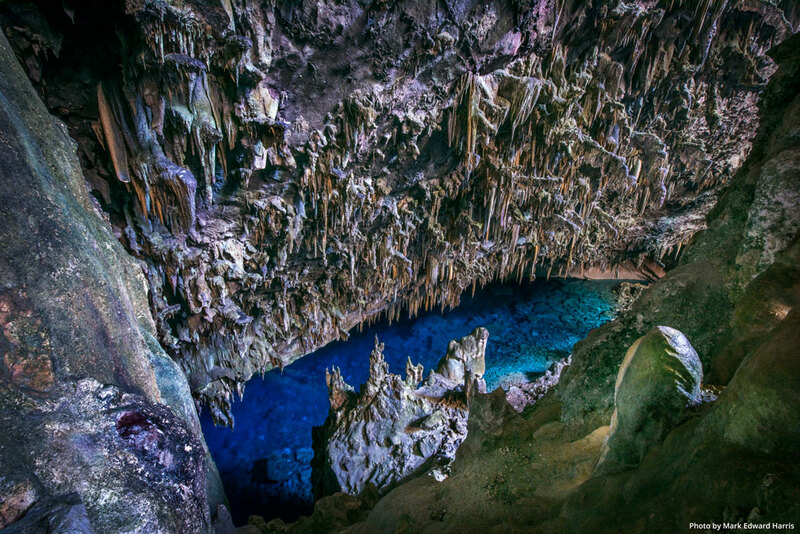 Who says you need a full-frame sensor to get outstanding detail and dynamic range? 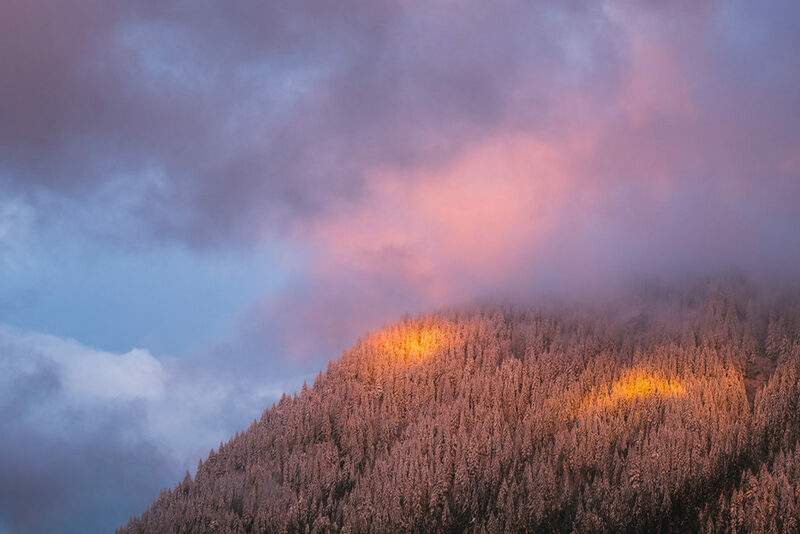 The Fujifilm X-T2 handled itself exceptionally well during this brisk sunset in Washington. 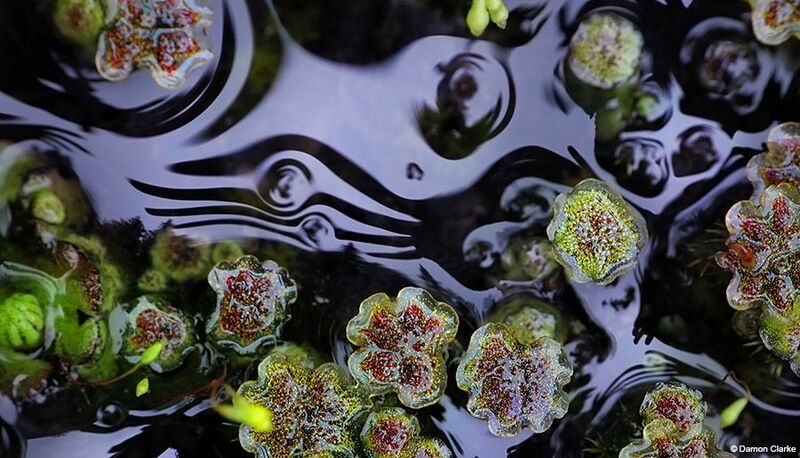 We’re currently experiencing a golden age of technology related to mirrorless cameras. Photographers have such a variety of options spanning nearly every category: price, sensor size, lens systems, autofocus (AF) modes and more. Some systems, like Sony’s alpha line, allow you to use compatible lenses from other manufacturers like Canon with an adapter. One of the earliest and most obvious advantages afforded with mirrorless cameras is the on-average reduction in the size and weight of the camera body itself. Let’s juxtapose two reasonably paired cameras: the Canon EOS 5DS R full-frame DSLR camera and the Sony a7R III full-frame mirrorless camera. Both cameras offer monstrous sensors with oodles of megapixels and would be a welcome addition to any landscape shooter’s kit. However, when considering the total weight of that kit when hiking to the top of Multnomah Falls in Oregon, for example, every ounce counts. While the Canon body weighs in at 32.08 ounces/930 grams, the Sony body weight is 23.2 ounces/657.7 grams (based on the CIPA standard for measuring the weight of a digital camera). That’s almost one-third less weight to carry. On the subject of weight, the argument used to be made that the native lenses made for these mirrorless systems were smaller and lighter, which could be seen as an advantage. In a lot of cases, that’s very true. For example, let’s juxtapose the weight of the Canon EF 16-35mm F/2.8L III USM against a comparable lens for Fujifilm. Whereas the Canon lens weighs 790 grams, the Fujifilm XF10-24mmF4 R OIS weighs almost 50 percent less at 410 grams. Even Sony’s original ultra-wide zoom lens, the Sony Vario-Tessar T* FE 16-35mm F4 ZA OSS, weighs only 518 grams. The problem is that we’re only factoring in focal range and not maximum aperture when comparing lenses. Whereas the Canon lens in this comparison supports a max ƒ/2.8 aperture, the Fujifilm and Sony entries only support a max aperture of ƒ/4. The smaller ƒ/4 max aperture doesn’t require the lens to push as much glass as the ƒ/2.8 counterpart. So, for a more apples-to-apples comparison, let’s put the same Canon lens against the newer Sony FE 16-35mm F2.8 GM. Both lenses have the same focal range and aperture. This time, the difference in weight isn’t nearly as impressive. Again, the Canon lens weighs 790 grams, and this Sony lens weighs 680 grams. In other words, you should caveat the argument that mirrorless systems are always lighter than their DSLR counterparts. 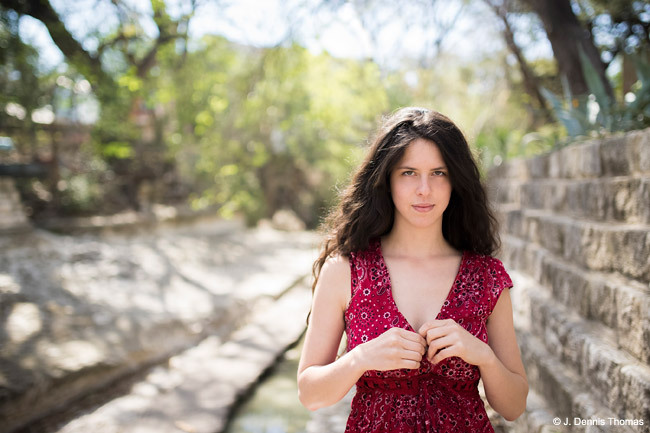 Another serious improvement found in today’s mirrorless cameras is autofocus performance. When discussing the AF capabilities of a camera, you’ll commonly hear about two methods: contrast detection and phase detection. Phase detection is arguably the faster and more reliable option because it incorporates the use of multiple sensors to achieve proper focus. For a while, mirrorless cameras were limited to contrast detection or a hybrid AF system that used a limited amount of phase detection. During that time, DSLR cameras always excelled in terms of AF speed and reliability, making them the go-to choice for sports, wildlife and photojournalist photographers. Fortunately, technology is catching up and today’s mirrorless cameras ship with powerful phase-detection AF systems that are capable of achieving accurate focus extremely fast, and some have nifty features like Eye AF, which goes beyond basic face detection by locking onto the eye of your subject. Finally, among all the variables and factors you can discuss, arguably the most important one is sensor size and light sensitivity. For a long time, interchangeable-lens cameras included either Micro Fourth Thirds- or APS-C (cropped)-sized sensors. While these cameras performed well enough in most situations, they often fell short when compared to DSLRs, especially when it came to low-light/high-ISO capabilities. Today, the sensors found in mirrorless cameras are quite powerful in these areas, even with the Micro Four Thirds size. 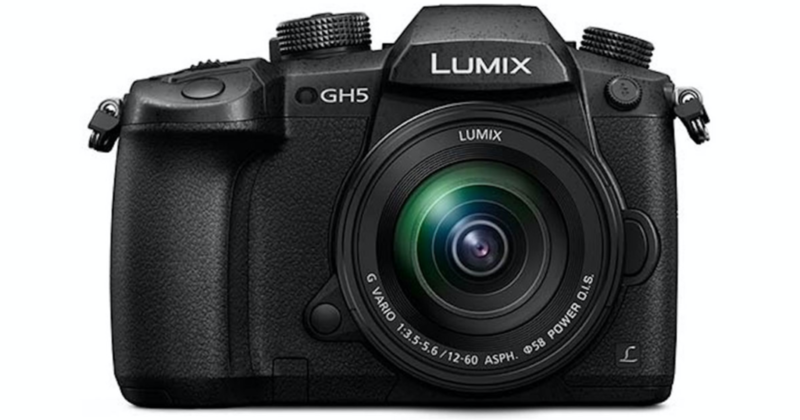 The Panasonic Lumix GH5 is a notable example of a Micro Four Thirds camera that delivers outstanding performance across the board, especially when it comes to 4K video recording. Fujifilm has also been knocking it out of the park with its line of APS-C cropped sensors and lenses. It also recently entered the realm of medium format digital cameras with its GFX line. However, you could argue that Sony has made the biggest splash in the mirrorless space over the past three or four years with its full-frame cameras. Now really is a great time to make the jump to a mirrorless camera system that supports interchangeable lenses. There are impressive options that span a variety of budgets and needs. Here are a few that stand out from the crowd in the full-frame, APS-C and Micro Four Thirds segments. It’s hard to deny that Sony has been lighting things up in the mirrorless space, especially when it comes to full-frame sensors. They have also made some of the most impressive strides to close the gap in features and performance when compared to equivalent DSLR systems by Canon and Nikon. On top of that, Sony’s full-frame mirrorless cameras readily support lenses from a variety of third parties via adapters, making the transition over, especially from Canon, particularly palatable. 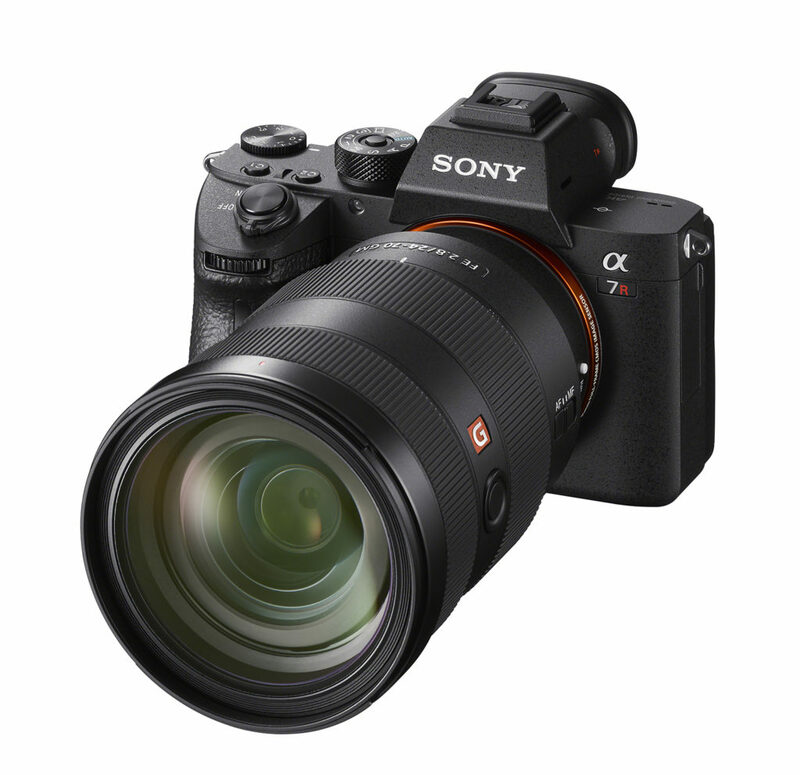 Sony’s newest camera, the a7R III, has made waves since it was released and has already received several “Camera of the Year” awards because of its sensor performance, build quality and improved AF performance. 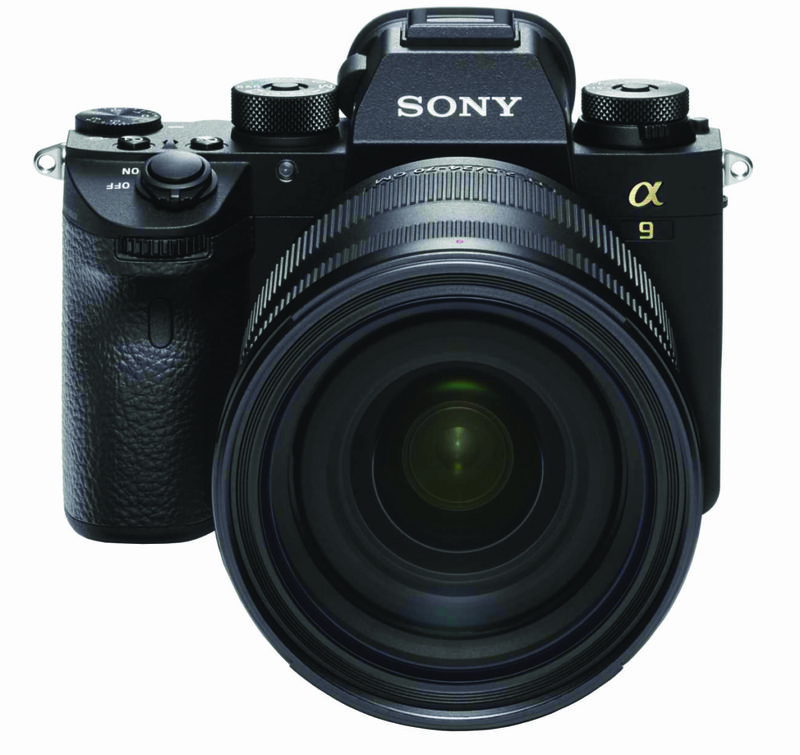 It packs a beastly 42.4-megapixel Exmor R CMOS sensor and improved image processing and 15 stops of dynamic range thanks to its new BIONZ X processor. Sony has also doubled the AF speed by using an improved hybrid contrast/phase detection system. All of these feature improvements make the a7R III an amazing camera for landscape and travel photographers. 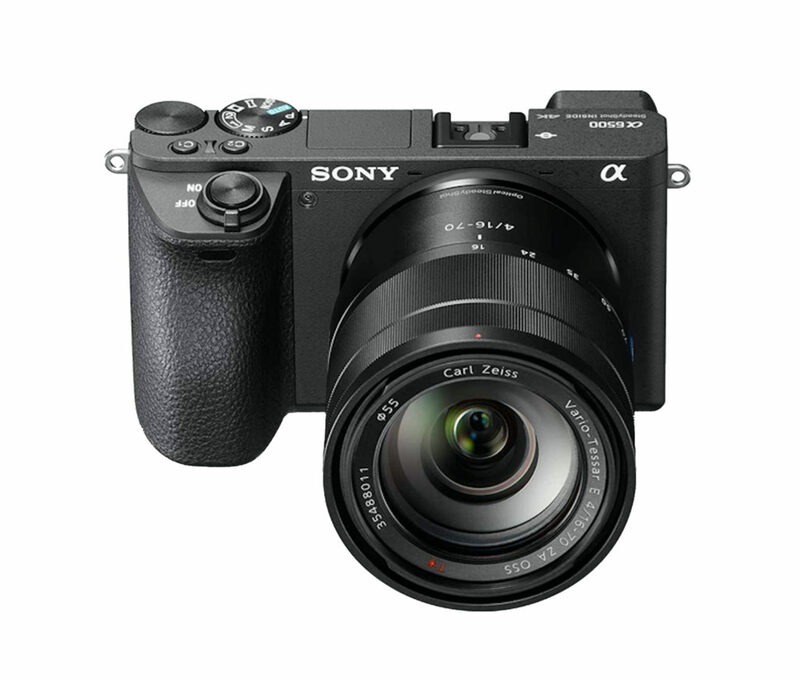 Early in 2017, Sony also released the a9, a 24.2-megapixel full-frame camera that introduced a staggering continuous shooting mode of up to 20 fps with both AF and auto exposure (AE) tracking. And because the Sony a9 utilizes a non-mechanical electronic shutter, it can also provide blackout-free shooting, minimizing any display lag. This same electronic shutter also allows for a max speed of 1/32000 sec., which is perfect for sports and event photographers. Manufacturers who build cameras with APS-C sensors tend to find themselves in a bit of a Goldilocks situation. They’re larger than the Micro Four Thirds sensor but smaller than full-frame. With that comes some notable benefits, such as more lightweight camera bodies, and because lenses need to resolve to a smaller sensor footprint, they, too, tend to be svelter. If Sony were leading in the full-frame mirrorless arena, then Fujifilm would be at the top with APS-C cameras. In addition to a very capable and mature lens lineup, Fujifilm also makes strong nods to more “classic” ergonomics with the inclusion of physical dials for exposure settings as opposed to controlling them digitally. Fujifilm has also made a name for itself by regularly releasing substantial firmware updates that further unlock its cameras’ capabilities. Of Fujifilm’s mirrorless camera offerings, one of its most popular and capable is the X-T2. 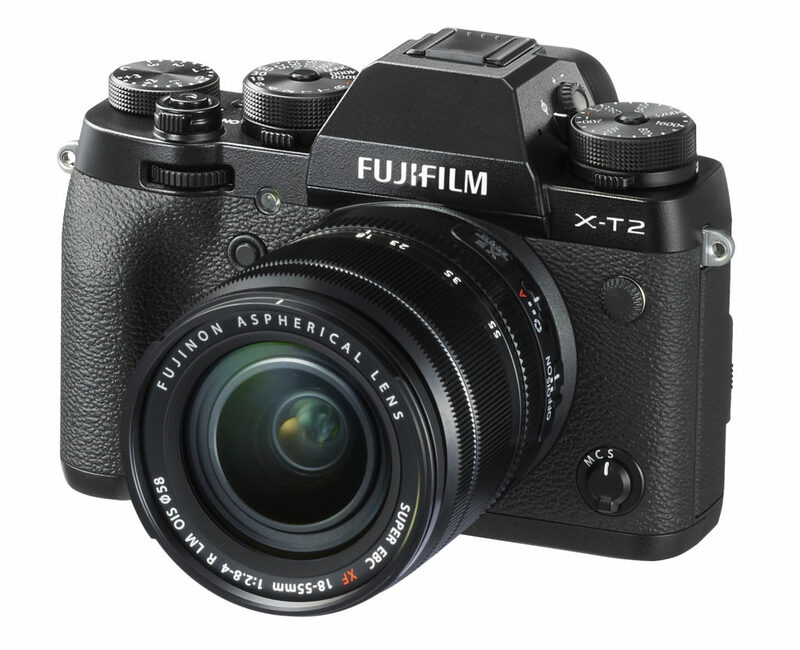 Boasting a 24-megapixel X-Trans CMOS III APS-C sensor with no low-pass filter, the X-T2 produces stellar photos in a camera body that weighs only 507 grams. A feature that I’m particularly fond of is the three-direction tilting LCD screen. As a landscape photographer who often shoots vertically and low to the ground, I find being able to tilt the LCD upward is very helpful. Fujifilm has also expanded the phase-detection AF system from 49 to 91 focus points, covering about 230 percent more of the sensor plane. For those looking for an alternative at a lower price point, the Sony a6500 is a solid camera that brings with it some impressive stats. Like the Fujifilm X-T2, the Sony a6500 sports a 24.2-megapixel APS-C sensor. However, things get interesting when you look at the specs of the a6500’s AF system. It’s rated as the world’s fastest—clocking in at 0.05 seconds—with a whopping 425 phase-detection AF points. When you couple that with niceties like built-in five-axis image stabilization and a touch-screen focus support, you’re left with a very compelling option. In the very early days of mirrorless interchangeable-lens systems, your options were mostly limited to the Micro Four Thirds sensor size. Unfortunately, as time went on and we saw the introduction of more APS-C, full-frame and even medium-format sensors, a stigma was cast on Micro Four Thirds. People began associating a direct correlation between the size of a camera sensor and the quality of the images it could produce. To that, I say, “It’s not the size of your sensor; it’s how you use its pixels.” The fact of the matter is that there are some exceptional Micro Four Thirds cameras that not only produce beautiful images, they’re also quite adept at recording 4K video. If you’re looking for what’s probably the lightest and smallest camera system to invest in, seriously consider going Micro Four Thirds. Of all the Micro Four Thirds cameras on the market today, arguably the most popular one is the Panasonic Lumix GH5. What’s impressive about this 20.3-megapixel camera is how feature packed it is. You’ll find similar features here as you would on larger APS-C and full-frame mirrorless equivalents, such as dual SD card slots, five-axis image stabilization, touch-screen support, fast AF and 9 fps burst shooting. Video lovers, vloggers and YouTubers should also take note, as the GH5 offers features specifically for you, like Hybrid Log Gamma for 4K HDR, a waveform monitor and high-res anamorphic video recording. For those looking for a less expensive—yet wholly capable—alternative, you should consider another manufacturer who has been synonymous with the Micro Four Thirds system. 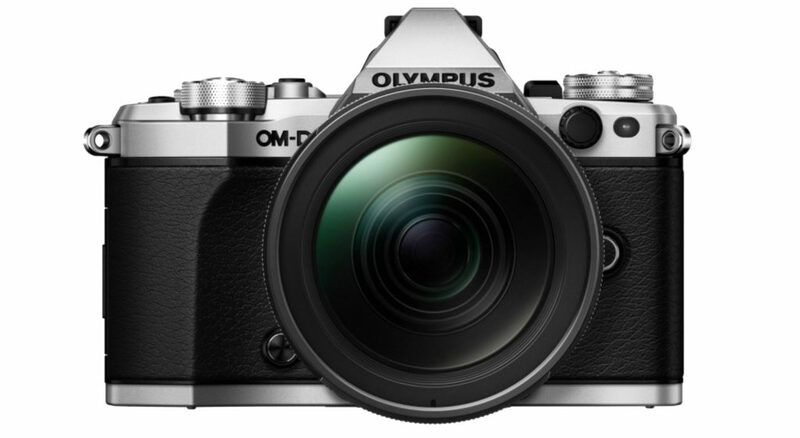 The Olympus OM-D E-M5 Mark II brings some notable features along with its 16.1-megapixel body. Landscape, street and travel photographers certainly will appreciate the camera’s dust-proof, splash-proof and freeze-proof (down to 10°C) design, as well as an articulating LCD display that can flip out and swivel. 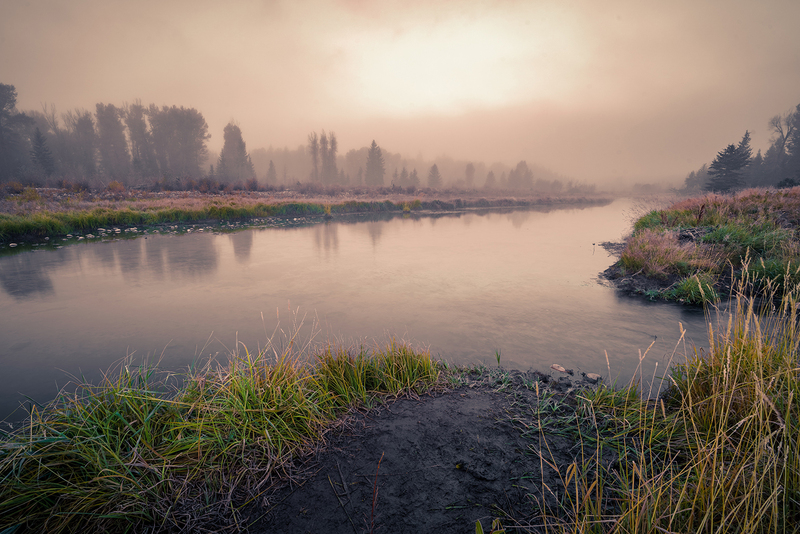 Brian Matiash is a professional landscape and travel photographer, published author and podcaster based out of Lincoln, Nebraska. He specializes in fusing photography with experiential storytelling and practical instruction to help others grow their creativity. 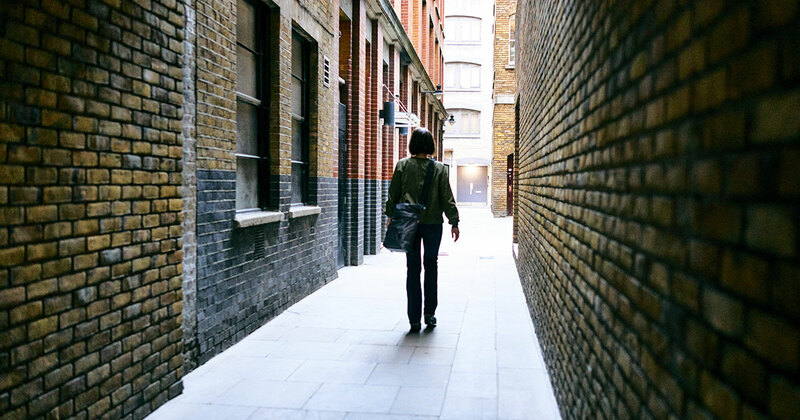 He also co-hosts the “No Name Photo Show,” one of the most popular photography podcasts in iTunes.